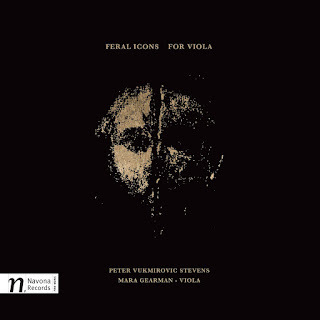 Written for Seattle Symphony Orchestra violist, Mara Gearman www.ssopo.org/musician-profiles/mara-gearman.html , who performs it on this new disc, Feral Icons is a suite of six works for solo viola intended to capture the instrument’s rich and haunting quality. 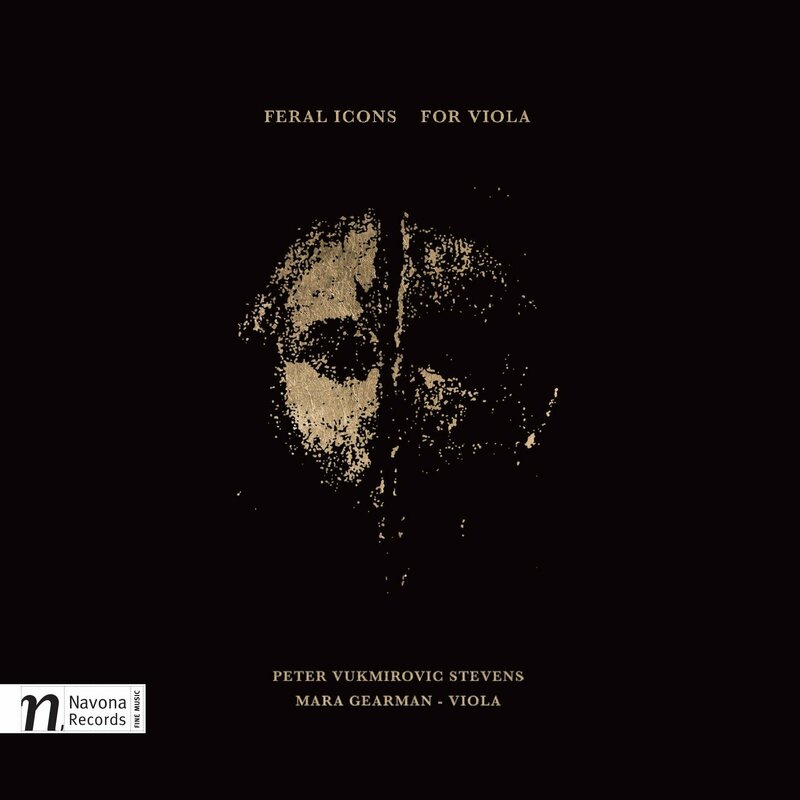 The title track Feral Icons sets the scene for a musical journey, bringing a decisive theme full of fine, gritty textures and lovely double stopped sonorities. As it moves forward, one can hear the theme emerging from within the rich textures of the viola. Sovereign is a slower piece, where the viola weaves a fine melody that works its way through a texture of often rich harmonies. It soon picks up a little with a rhythmic theme but soon returns to the opening tempo. Later it rises in passion before returning to the slower pace, this time with deeper, richer textures. It is another passionate passage that brings the end. Sanctuary brings a plaintive melody that becomes a little more passionate before textures are built in. The viola rises higher with the melody, through some richer textures, using the full tonal range of the viola and developing some terrific overlaid textures. Ex Nihilo takes its title from the Latin phrase meaning ‘to create out of nothing.’ It opens with a repeated rhythmic staccato motif over a longer theme. The repeated theme is brought to life through a fine variation of textures. Centrally the music rises a little as the lower, richer timbres are contrasted with the upper line. Eventually the music grows more passionate as the upper line is weaved around before the opening theme returns with the little staccato phrases. Richer textures are overlaid as we lead to the end. The viola develops a rich theme for Bloodlines bringing some lovely lower tones and some attractive little variations of tempo. The viola rises higher in the register becoming a little anxious. The lower tone is retained as a kind of drone around which develops some terrific dissonant chords. There are some really unusual and inventive harmonies here. Later one can hear the drone like sonorities again but soon the music rises higher, becoming passionate before falling to a richer coda. At just over fourteen minutes, the longest piece in this suite, this is a tremendous tour de force by composer and soloist. Black and Gold brings a fine flowing melody that is taken forward alternating between double stopped passages and those of a richer texture. 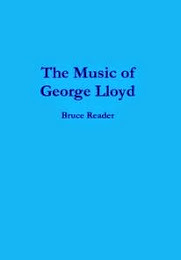 It moves through some fine passages as it rises and falls with fine textures and sonorities often creating the effect of two voices communing in a broad landscape of sound. Stevens does not give us details of the exact ideas behind the titles but treated as pure music this is a very fine achievement. So much here depends on the soloist’s tonal qualities. Mara Gearman proves to be an impressive violist. This is music of great strength and invention. My download revealed a recording that is close but very detailed, revealing clearly the viola’s various tones and textures.